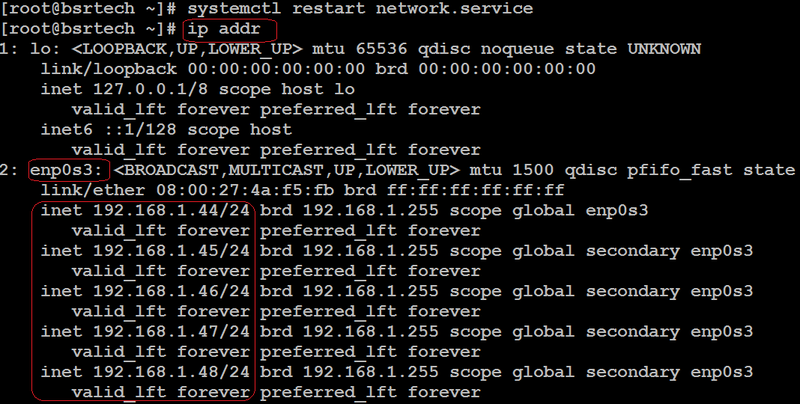 easily add multiple IP addresses to a single network interface in RHEL/CentOS 7 without the need for additional NICs. Step2 : Assign Virtual IPs to a single LAN card. Go to the "/etc/sysconfig/network-scripts" directory, then open configuration file "ifcfg-enp0s3" (in CentOS "ifcfg-ens192").Create it if not found. Before edit,copy the configuration file in /tmp directory for backup. In this configuration file, look for the line for "IPADDR0". Copy this line and paste it at the bottom of the configuration, incrementing the ID from "IPADDR0" to "IPADDR" and entering an unused IP address in the subnet. 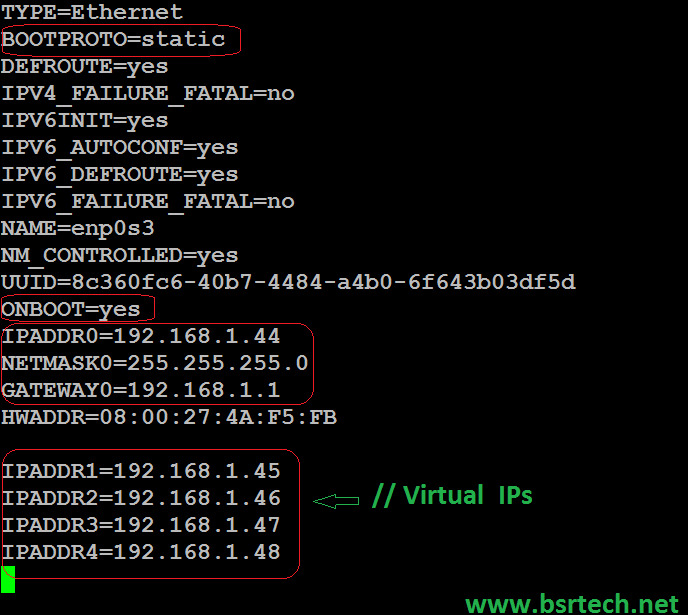 Repeat this process for as many IPs as your requirement. "BOOTPROTO=static" means assign ip through manually. "ONBOOT=yes" means system to bring up the interface during boot.